Ringless Voicemail and Robocall services have turned a lot of heads in recent times. There have been a lot of debates regarding their uses, functions, and the precise procedure for marketing strategies. Our experts at VoiceLogic have therefore come together to present the information that you, as a business owner, would need when deciding if these services are the right options for increasing awareness about your products and services. What is Ringless Voicemail and how does it work? Ringless Voicemail refers to a telemarketing service that uses a direct-to-voicemail technology to send pre-recorded voice messages to a client, without ringing their phones. Usually used to deliver information regarding product sales or event reminders, this service resolves the inconvenience of catching the customer at a bad time, and enables them to listen to the voicemail at their own time. It is a cost-effective way of increasing inbound call-backs. Marketers usually prefer this means of telemarketing due to people’s tendency of not answering calls from numbers they do not recognize the number. According to a recent survey, people already prefer listening to messages instead of talking to telemarketers to decide if the product is the right choice for them and make the return call if necessary, and Ringless Voicemail service is thus a great way of ensuring that your customer takes the time to perceive your intended information at their convenience. 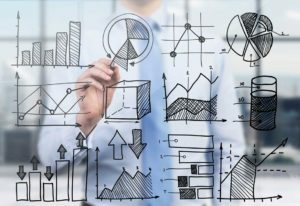 Millions of companies and marketing agents use this service to ensure the success of their product and services campaigns! Additionally, Ringless Voicemail is also a preferred way of delivering messages that are reminders—such as for events, meetings, appointments, promotions, etc.—hat that don’t require any additional feedback from a live client on the other end. Some of the most prominent users of Ringless Voicemail to drop reminders include Medical firms, Financial Institutions, and Real Estate Companies. Medical Firms have, for a long time, relied on the Ringless Voicemail service to remind their patients of their medical appointments, and report availabilities. Financial and Real Estate Companies, on the other, use this service in order to drop-in promotional materials in their clients’ voice mailboxes, to remind of potential leads of meetings or appointments, and to nurture their leads by sending in reminders about key dates, new promotional offers, products available for testing, etc. What is a Robocall and how does it work? A robocall is an automated phone call—used for an array of communications such as for public service announcements, event or appointment reminders, product advertisements, marketing and political campaigns, and opinion polls—that has been instigated by an autodialer to deliver a prerecorded message. This form of telemarketing service allows the recipient to interact either through a keypad input, or by transferring the call to a relevant agent or department representative. 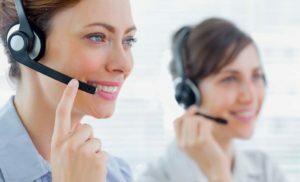 Robocalling is one of the most efficient methods of outbound calling for a call center, where a computer unit enters a list of pre-uploaded contacts in a dialer system to automatically make phone calls using the auto-dialing technology. Additionally, depending on your service provider and your own needs, the recipient can also be prompted to press a key on their keypad in order to be connected to a representative. The robocall system is an extremely efficient way of improving the productivity of a business, as it allows call centers to make a higher number of outbound calls and more talk-time, while simultaneously freeing live agents of the burden of physically going through a range of contacts, dialing those numbers, and repeating the same message over and over again if the recipient picks the phone up in the first place, and saving time. What are some of the challenges faced by Ringless Voicemail and Robocalls? How have these challenges been overcome? 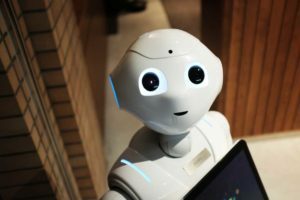 There has been a considerable amount of controversy revolving around the ethics of services like the Ringless Voicemail system and Robocalling in the recent years. Critics, including consumer advocates, technology experts, and recipients of these automated ringless voicemails, have been petitioning for the ringless voicemail service to be banned. These petitions have been based on the complaint that ringless voicemail brings in alot of spam, that makes it extremely difficult for one to excavate important voicemails from marketing ones. Such criticisms, however, have been responded to by ringless voicemail providers and business-positive groups. Considering the fact that such messages directly make their way to people’s voicemails without actually ringing the customers, they should be excluded from consumer protection laws banning identical kinds of telemarketing. Robocalls are annoying; they have a tendency to call one when one is in an inconvenient situation, like in a meeting, for example. Scammers. 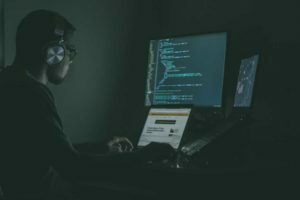 Unfortunately, scammers from across the oceans have in the past used robocalling as a means for hustling money from unsuspecting citizens, thus prompting an understandable reaction of fear in their minds. Considering that these complaints against robocalling services are understandable and highly valid, legitimate companies like VoiceLogic have aimed to work around them by strictly abiding by the National Do Not Call—in other words, call centers cannot reach prospective leads via the robocall service, thus reducing the chances of springing a marketing call upon an unsuspecting client. Why invest in Ringless Voicemail or Robocalling for marketing campaigns? On the contrary, 40% of North Americans prefer to sleep with their phones by their bedsides so they can look at and attend to any important alerts, text messages, and voicemails before bed and first thing in the morning. 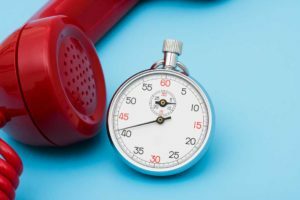 70% of business executives say that they prefer to not pick up calls as they are not prepared for unexpected questions that would take up their time. Ringless Voicemail, then, solves these problems as it acts as a non-intrusive form of telemarketing that is extremely considerate of the recipients’ schedules, allowing them to process their information at their own leisure. According to a recent survey, it can increase your response rate by 80%, while also allowing you to reach thousands of people in a matter of mere minutes! However, despite of all the benefits that ringless voicemail provides, whether or not the voicemail actually gets delivered to your clients’ emails, and the rate at which they do so, all depends on the quality of the receiver’s service provider. Pre-recorded messages allow for our call center agents to attend a higher number of live calls related to your business campaign. An articulately designed and planned pre-recorded message would ensure that the exact same information reaches each and every one of your prospects with the same amount of detail, thus eliminating any chances of delivering inconsistent information. While it is good practice to keep in touch with your leads and clients through consistently timed robocalls months before your campaign launches, robocall reminders closer to the deadline prompt your listeners to engage more readily and urgently with your campaign. Interactive robocalls that enable client feedback serve the dual function of getting out all the relevant information, and prompting client engagement by assisting them to the relevant representative for more information, thus taking your company one step closer to a sale. How do Authentic Companies use Ringless Voicemail and Robocall services? While a number of people stay wary of the ringless voicemail and robocall technology due to fear of scammers who misuse such advancements for a number of reasons, including promoting or selling illegitimate products and services, or falsely accusing or threatening the recipient, or even coercing personal information from them, such a technology in the hands of legitimate companies can connect the right businesses to relevant and interested clients and generate more leads! People in the contemporary age have stopped answering calls for a number of reasons. This could include uneasiness while connecting with a spokesperson from an unknown number, the fear of scammers, or simply because people are busy and cannot manage to make it to their phones in time every time it rings. Ringless voicemail deals with this issue as they not only allow agents in a call center to make a higher number of calls, and interact only once the call has been picked or returned, but it also allows the client to perceive the information at their own convenience. Robocalls work on a similar principle to aid the call center in boosting its productivity, by using a pre-recorded message to make calls, and only connecting the call to a live agent once a relevant action has been performed. The prospect of offering information in a variety of medium, through the use of ringless voicemails, relies on the fact that voicemails are usually regularly checked by people, and are even converted to text messages or sent out as emails to the client’s devices, based on their preferences regarding how they retain important information. A higher number of outbound voicemails would mean reaching out to a higher number of people and delivering information in the mediums which they prefer! Robocall, on the other hand, may be programmed to deliver information in a multitude of languages depending on two factors: the ethnicities of your clientele, and the efficiency of your service provider. 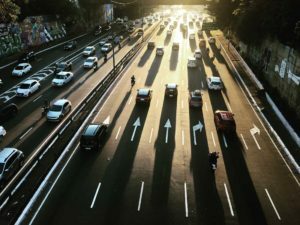 Online traffic is the key to a successful presence in today’s internet-driven age. And one of the most efficient ways in which companies could use the ringless voicemail and robocall service is by directing potential clients to their websites to give them more information about products and services. 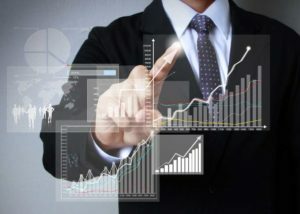 A stronger online presence can have multiple benefits, like increasing ad revenues, subscribers, and social media followers, and the use of ringless voicemails and robocalls have proved to be a more efficient way of promoting products, as opposed to having your call center agents repeat the same information over and over again. Companies who make the best use of the ringless voicemail and robocalling services make use of highly curated and succinct scripts that ensure uniformity across all agents of your call center, and help in controlling and boosting the quality of your recorded voicemails and phone calls. 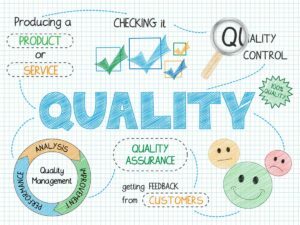 Uniformity and quality would ensure optimum customer satisfaction and an increase in the number of inbound calls. A successful way in which companies efficiently use ringless voicemail and robocall services is by making use of these services to reach the right prospects at the right time. 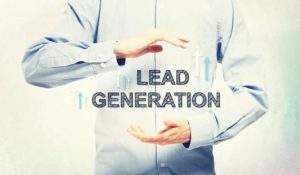 Such an advantage makes these services much more useful than any traditional form of telemarketing, as the latter only allows one to reach a few leads at the most opportune times of the day. Ringless voicemail and robocalls allow one to target them at the perfect time based on their profiles and availabilities! Why choose VoiceLogic for your Ringless Voicemail needs? 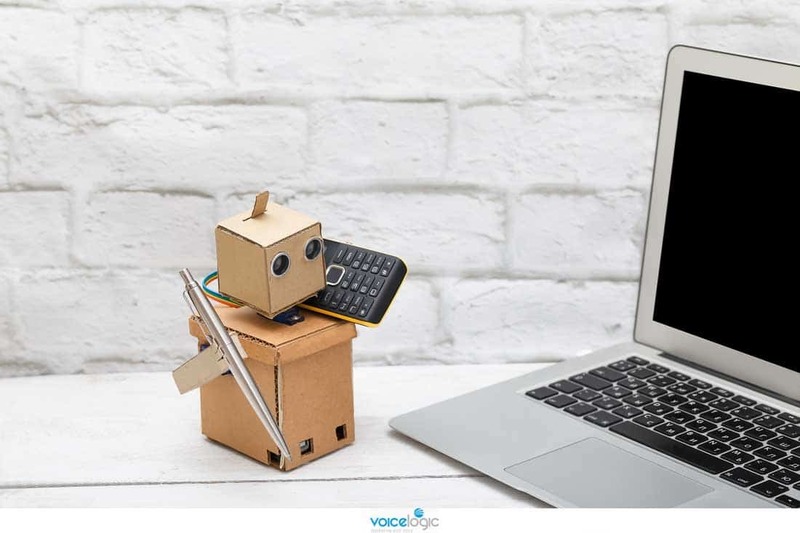 Why choose VoiceLogic for your Robocalling needs? Online dashboard with hands-free campaign monitoring. 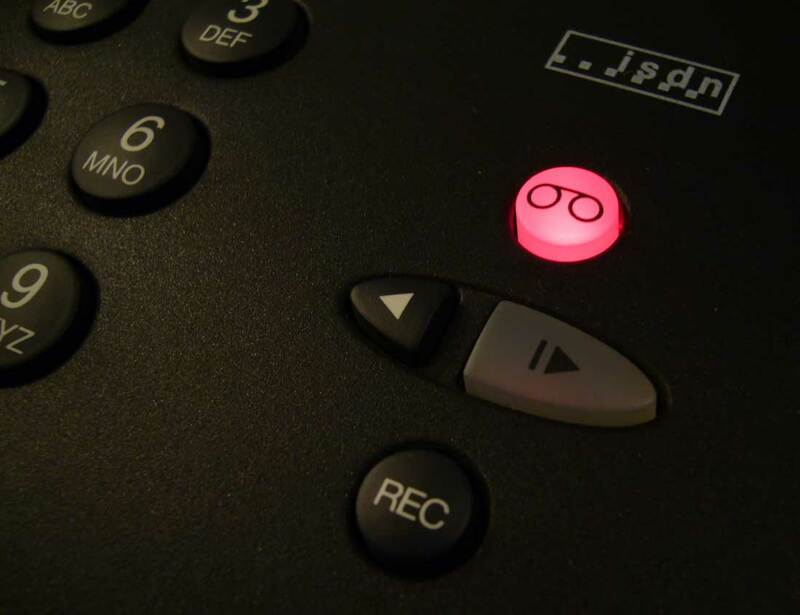 How do Ringless Voicemail and Robocall work at VoiceLogic? Due to the recent upsurge in complaints regarding such services all across the globe, VoiceLogic has a very strict procedure—like a rigid abiding to the National Do Not Call List—that our agents follow, in order to ensure that your company enjoys all the benefits that these automated services have to offer, while also staying sensitive to your clients’ wishes. The truth of the matter, is that ringless voicemail and robocall services have been on the frontend of a lot of backlash from a number of groups. But the pros of these service by far outweigh the cons when placed in the hands of legitimate companies responsible for running and monitoring the use of these services. While ringless voicemail has its own set of uses in terms of sending reminders, alerts, and promotions, robocalls has its own uses and is incomparable when it comes to boosting your company’s productivity while simultaneously increasing the amount of feedback you receive on your outbound calls. This is, however, just a gist of what ringless voicemails and robocalls are all about, and the success of each of these services would depend upon your company and/or campaign’s needs, allowing us to tailor our services for your cause. For more information regarding the suitability of Ringless Voicemail or Robocall services for your business, contact us today!